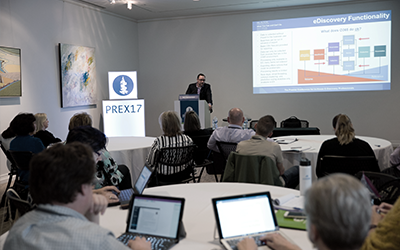 PREX17 session summary offers a roadmap to making the most of MicrosoftⓇ Office 365Ⓡ to improve legal outcomes. Today, practically everyone is using Office 365 — but few understand how to take advantage of its potential for ediscovery. Are you leveraging this powerful software to maximize your investment and reap the greatest benefits for your legal operations team? Don’t get in over your head — or miss out on functions you’ve already bought. If you’re using or plan migrate to O365, these tips from ediscovery expert, Kris Wasserman, can help you avoid common pitfalls and make the most of this tool. Ready to optimize O365 for ediscovery? Unlock this summary today. Questions about Office 365 and ediscovery?